Lunch: went to an all you can eat buffet in the Sunshine restaurant so I cracked & had some chicken & beef. Oops. The food was quite good. The broccoli in the chicken & broccoli was really good whereas the chicken itself was a tad too soft. The chicken curry was yum. Very similar to my dads curry sauce and then I had a pile of noodles and rice and chips since it was all you can eat…! I also had some beef in black bean sauce which was yum. 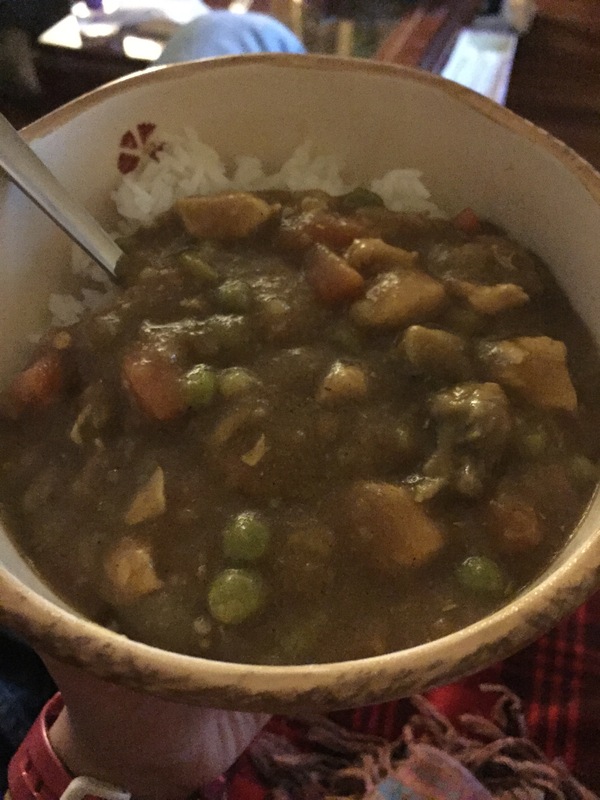 Dinner: went to my sisters & brought the Tesco spring rolls and Indian snack mix for a starter and she had made/defrosted veg curry using a curry brick which was lovely and some rice. Scoffed a lot of Tesco brand prawn shells after which taste just like skips and are vegan. Will definitely be getting those again! Thanks sis & D! Good luck with your own vegan challenge! Go you! 21 days is great! !